Last year, I wanted to maximize my Spotify Premium subscription and take advantage of podcasts. I’ve had multiple failed attempts at getting into podcasts prior because I’d always force myself into listening to educational ones instead of the comical ones that I knew I’d like immediately. That was until I decided that I shouldn’t judge myself for having a genuine interest in pop culture and celebrity culture. In fact, there are tons of podcasts and people out there who are heavily invested in the innings of the entertainment industry too. Which is why I’m sharing with you my top five of favourite podcasts that speak about pop culture and laugh about it too! Who knew there were so many bad movies out there? Paul Scheer, June Diane Raphael (Actress from Netflix’s Grace and Frankie), and Jason Mantzoukas on the podcast talk about a d-list movie every week that will make you laugh out loud. If I can recommend one episode to start with its 170 Bratz with Kate Berlant. I guarantee that you will be crying of laughter at all their side comments and jokes. Feminists Kate Angus and Jocelyn Geddie break down movies, TV shows, music, and whatever else that they despise… but also really adore at the same time in the I Hate It But I Love It podcast. I generally only listen to the episodes where I’ve watched the movie or TV show that they’re mentioning but most of all I love hearing their perspective. They are not afraid to speak about how these films and TV shows could be seen as problematic and why you can still love them and hate them at the same time. 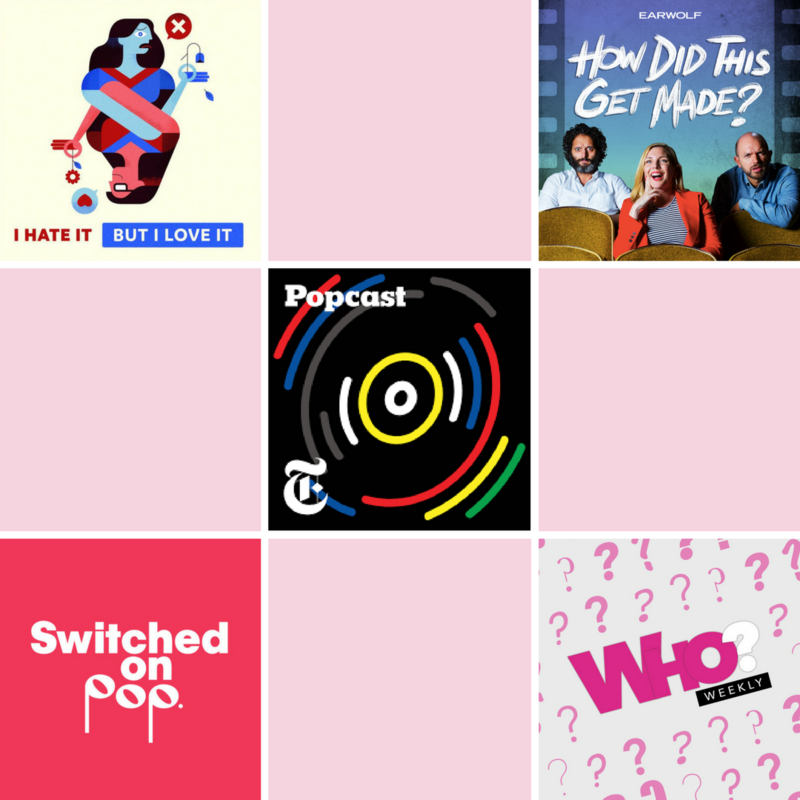 Popcast is a podcast hosted by Jon Caramanica, a pop music critic for The New York Times that covers the latest pop music criticism, trends, and news. I like to consider myself a pop music aficionado that keeps up with new releases and numbers on the Billboard charts. So, this podcast tends to reaffirm my thoughts towards the music industry and lets me know what’s going on behind the scenes. Similar to Popcast, this is another podcast that discusses pop music at length but with more music theory and music terminology than critiquing. Switched on Pop is a podcast that pulls back the curtain on pop music. Each episode, musicologist Nate Sloan and songwriter Charlie Harding reveal the secret formulas that make pop songs so infectious. They really dive deep into how songs are layered, produced, and why they’re ultimately chart-topping. This is the first podcast I’ve listened to consistently and it has led me to branch out to other great podcasts as well. It is a podcast dedicated to deciphering and celebrating pop culture’s greatest (and not so greatest) Whos and Thems. Hosts Bobby Finger and Lindsey Weber talk about everything you need to know about celebrities you don’t. I also use my new obscene knowledge of celebrity gossip as icebreakers at events and visit their Facebook group on the daily. Thank you so much for reading this post and letting me share my favourite podcasts that keep me entertained throughout the week! If you have any other podcast recommendations please let me know in the comments! Great post! 🙂 I have been wanting to find some good podcasts, so I will definitely check these out now that I am home for the summer! 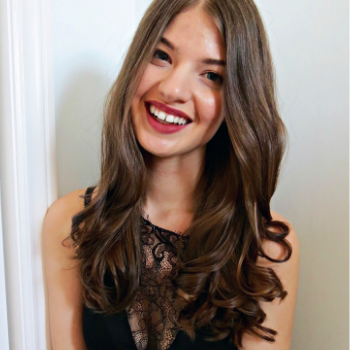 Your blog is super cute – keep up the great work! Thank you so much for the compliments Jenna! I hope you enjoy the podcasts and I hope it opens you up to another form of entertainment!